Mechman Elite & S Series alternators employ cutting edge alternator technology not found in other aftermarket alternators. 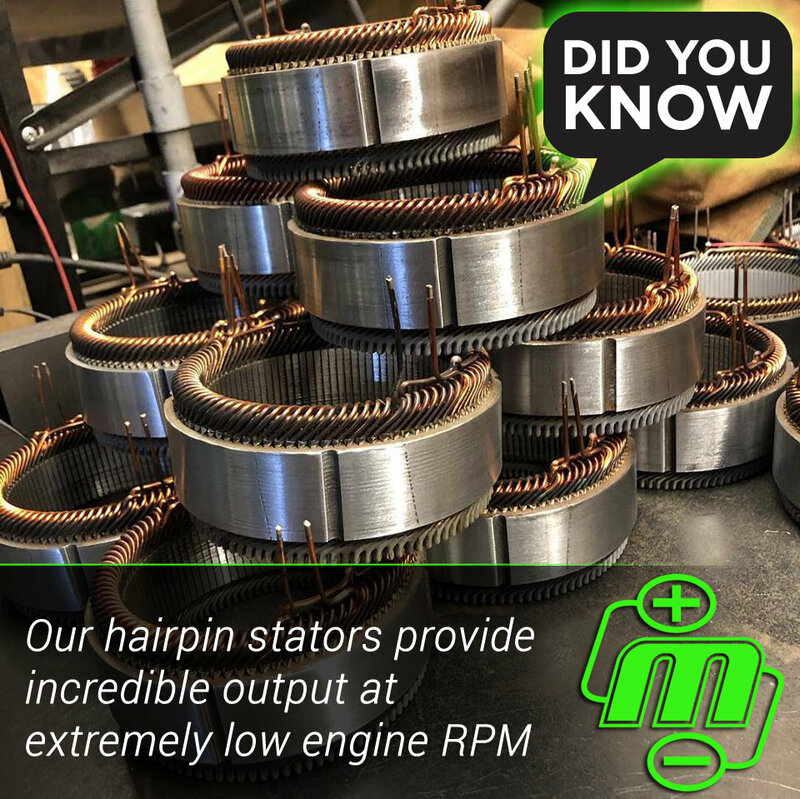 6 phase hairpin stators make Mechman Elite & S Series alternators fundamentally more efficient than other aftermarket alternators. This new technology and increased efficiency equates to incredible output at extremely low engine RPM, less energy wasted in the form of heat, and more horsepower to the wheels. Also, because less heat is being generated, the internal components of Mechman Elite & S Series alternators last longer. This is especially beneficial on turbocharged and/or endurance racing vehicles with high engine compartment tempuratures. All Mechman Elite & S Series alternators feature soldered stator and rectifier connections, with epoxy re-enforced stator connections, reducing the chance of vibration failures.